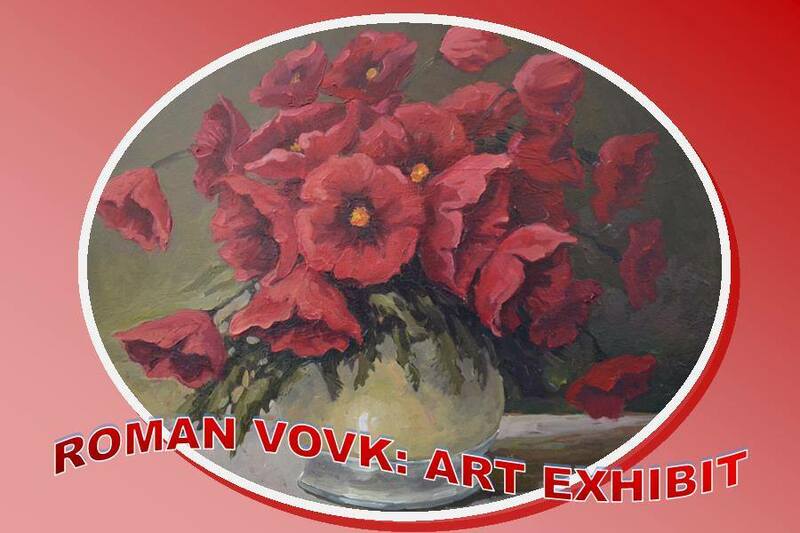 Roman Vovk is an artist whose work reflects man’s unity with nature. Paintings are distinguished by his definitive brushstrokes with dynamic colors. Roman Vovk is an artist whose work reflects man’s unity with nature. This is evident in the defining characteristics of his paintings. The definitive brushstrokes with dynamic colors underscore the essential and eternal, mundane and festive, the perceived and the invisible. The artist’s vision, deep-rooted in his innate memory, comes to fruition with themes of Cossack liberty, iconic folklore and the vistas and landscapes of his beloved Ukraine. Some paintings echo the historical and spiritual portrait of Ukraine featuring its civic and religious leaders. Other exhibited works delve deeply into the symbolism of identity: symbolic still life and the breathtaking Carpathian landscape. Vovk’s paintings are sought after not only because of his exceptional technique but because they visualize the spiritual needs of authenticity. Collectors of his work include connoisseurs of fine art. Roman Vovk belongs to a generation of young Ukrainian artists who continue to refine their talents in the Diaspora. His artistic career began in 1993 and since 1999 Vovk has been a member of the Artists Union of Ukraine and is the honorary chairman of the Dolyna Artists Union “Arkan”. Vovk studied at the art school in his native city of Dolyna, Ukraine. Later, at the Lviv Polytechnic, Vovk, a master of sports and especially boxing, was persuaded to study Architecture and seriously focus on his talent. His paintings are an expression of his joy and love of life, and his art has been exhibited in Ukraine, Poland, Germany, Holland, Canada, and the US. Sponsored by Selfreliance Ukrainian American Federal Credit Union.